Naturally glowing Christy Turlington, sometime in the nineties. Image found via Pinterest. After a day in the sun, aloe vera is a friend. Another way to soothe and nourish the skin is a homemade mask that is easy to put together if you have a few simple ingredients available. Of all the cleansing clays, white Halloycite is my favorite. It is the mildest of them all, and suitable for even the most sensitive skin. Halloycite clay has a small ion structure and therefore it is great at drawing impurities from skin but without drawing too much oils and moisture. 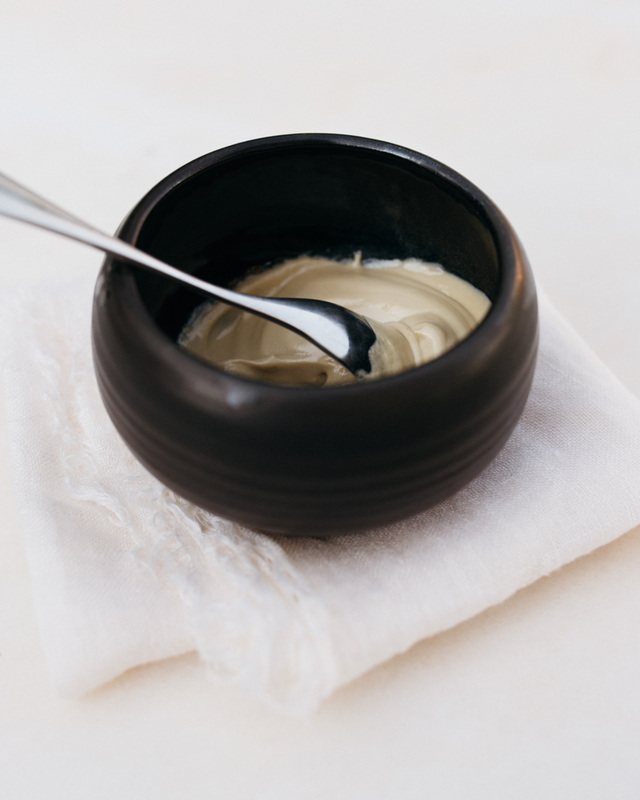 Combined with raw honey, a little bit of calming rose water, and some good oil, Halloycite clay makes a silky smooth paste that you can use as a cleansing product or mask. Honey is naturally antibacterial, so it is great for all skin issues. Full of antioxidants, it is also moisturizing and revitalizing, and brings a fresh glow to all complexions (unless you are allergic to honey). In a small bowl, mix clay with honey. Add rose water and continue mixing until you have an even paste. Add oil and essential oil for scent, and mix until silky smooth. Choosing essential oil for scent is the sensual, personal part. Lately I have enjoyed a mix of geranium and lavender, or sweet orange and ylang-ylang. Store the mask in an airtight container and use within a week or so. Prepared with high quality ingredients, this is fresh cosmetics at its best. If you cannot find the ingredients in your natural health store, try Aroma Zone or Organic Makers.